How do you know if you’re ready for Connected Field Service? Just about any field service organization, including yours, has probably discussed or even invested in technology as a way to become more efficient and improve the customer experience. Of course, both efficiency and customer experience require much more than modern technology. The right people, clear methodology, training and other elements are every bit as critical as the technology that enables them. Sopris has helped many companies with connected field service and although we know a little something about all of these elements, today’s post is specifically related to enabling technology as part of Microsoft Dynamics 365. Just being interested in improving performance and being willing to write a check is not enough to justify the deployment of a connected field service system. Far from it. In fact, there are many milestones a field service organization should pass first. Connected field service combines the Cloud, Internet of Things (IoT) technology, and sensors with the power of a robust field service management solution. It is important that your field team is already accustomed to leveraging field service automation. Complete customer information, SOP (standard operation processes) for scheduling and responding to requests should already be in place. And, your organization should be comfortable with leveraging data and associated metrics in the decision process. Connected field services won’t teach you to “walk the walk” but it will certainly teach you to strut (without falling). 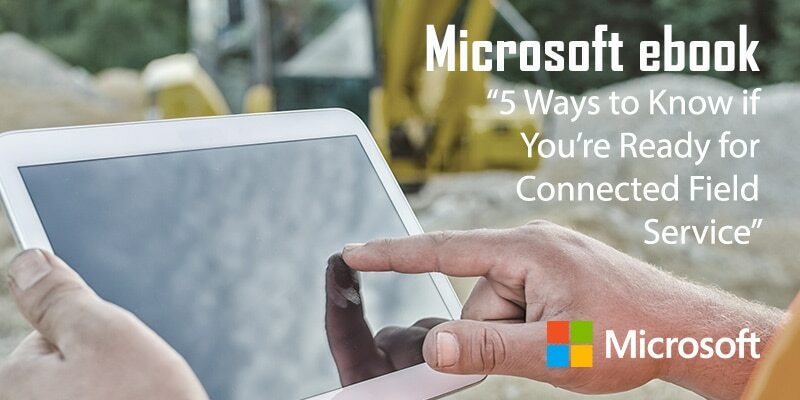 Our helpful friends at Microsoft have created a fantastic eBook, titled “5 Ways to Know You are Ready for Connected Field Service” and we’ve made it available here. If you’re interested in better understanding how a connected field service strategy (and solution) can help to evolve your organization, download and give it read. In addition to the 5 ways, it does a fantastic job of explaining the components of a connected field service solution and levels of implementation. Of course, please feel free to reach out to me directly (or anyone on the Sopris team) to discuss in detail. With a focus on developing enterprise strategies for ERP, CRM and FSA, Matthew Pfohl has more than 20 years of business consulting and software experience for Fortune 500 and startup companies. Prior to Sopris Systems, he spent several years in executive positions—raising capital and managing startup companies ranging from real estate to software and consulting. Matthew also helped develop ERP practices for American Express and ePartners. He began his career in sales and marketing in Europe and has held several top executive positions in major companies in the US. Matthew earned a Bachelor in Political Science at Rollins College.